To a carved beech, wall mounted, marble topped console table. 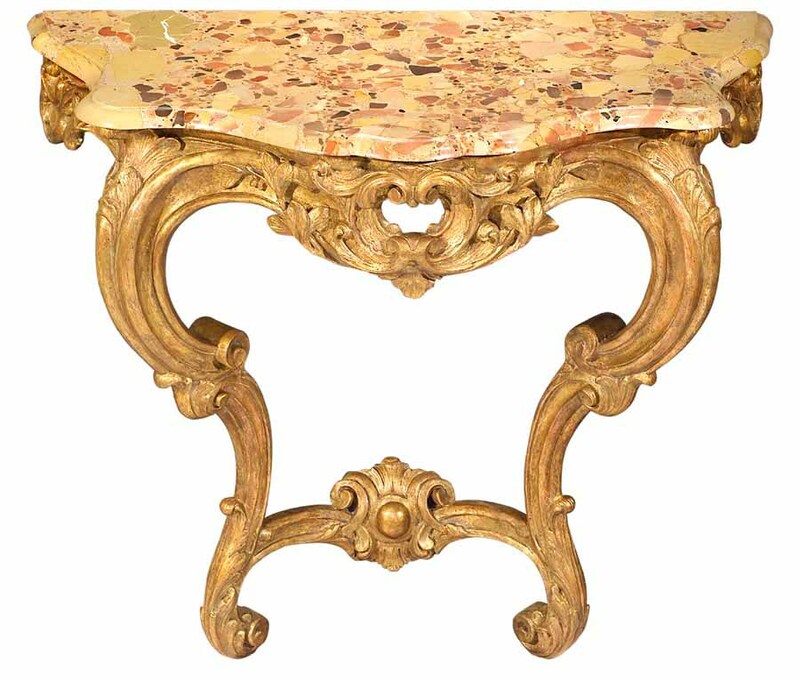 The table is richly carved in floral decoration, which has been covered in gesso and gilt. The marble top has intersting figure and repair.